The Brazilian blowout professional smoothing treatment is the most innovative and effective in the world today. This treatment actually improves the health and condition of the hair by sealing in a protective protein layer around the hair shaft to eliminate frizz and smooth the hair cuticle. 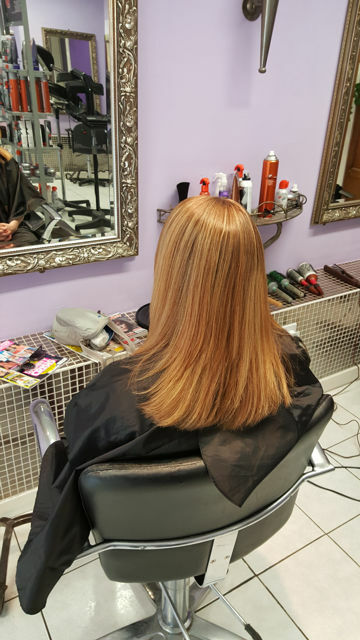 The end result is smooth, healthy frizz-free hair with a radiant shine! 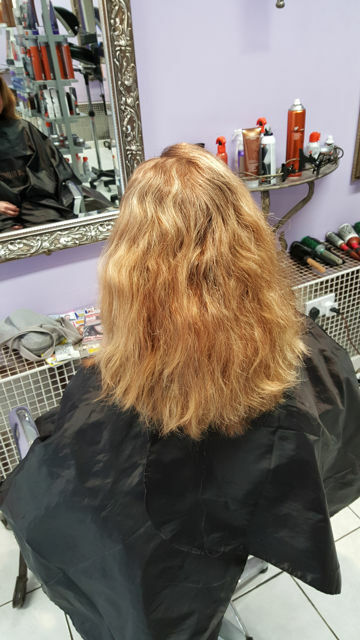 The entire treatment takes around 2hrs 30 mins to complete after which there is no down time.... You are free to workout or clip your hair back or wash it and it will be smooth frizz-free and radiant! Results last up to 12 wks. smoothes and adds shine for up to 12wks!